outrage, anger, disappointment. I share all of those sentiments, and one above all: my deepest apologies for what happened. Like you, I continue to be disturbed by what happened on this flight and I deeply apologize to the customer forcibly removed and to all the customers aboard. No one should ever be mistreated this way. 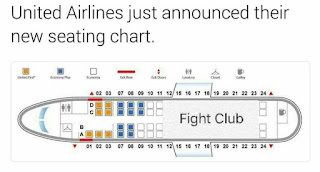 United Airlines passenger David Dao was forcibly dragged off the plane after the airline reported that they overbooked and had no more room for four of their crew. Passengers were first offered a hotel accommodation and $400 to volunteer to deplane but there were no takers. They then raised it to $800 but still no takers. The airlines last resort was to randomly select the four passenger. Three of them went off the plane, but one man refused to get off because he told them he had patients waiting for him at their destination. The passenger was said to be a doctor. 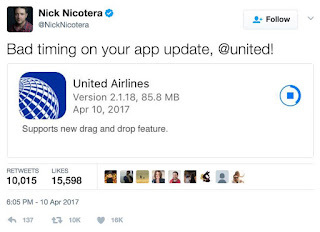 United Airlines CEO Oscar Munoz released a message on Twitter which could be summarized as "I’m sorry. We will fix this." 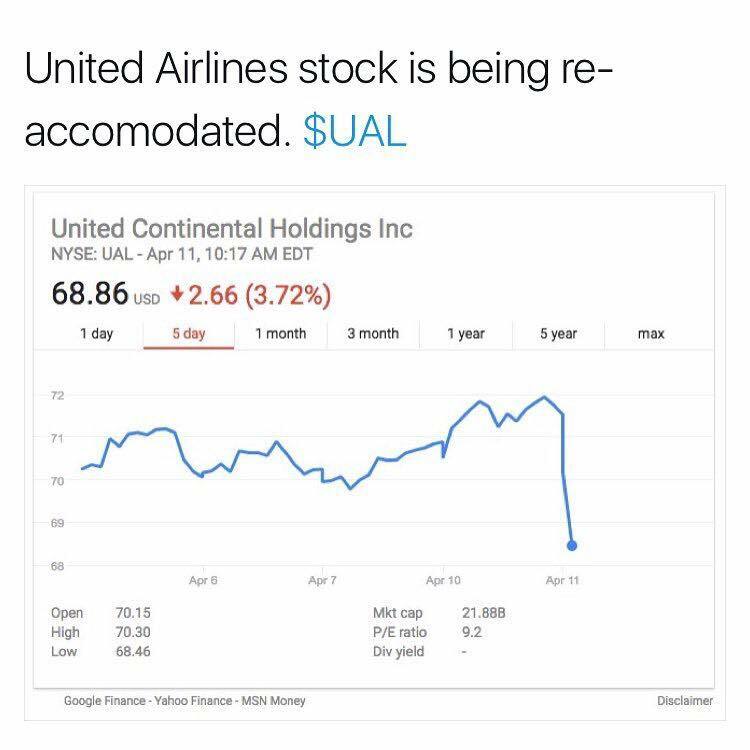 But the damage has been done, and recently the stocks of United Airlines was reported to have gone down by $1.4 Billion after the forced passenger removal. Stop calling this overbooking!! 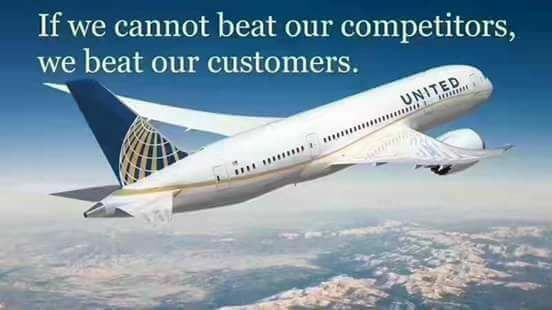 You booted paying customers to fly employees. First, the flight was not overbooked. The removal of passengers was only to relocate United staff. 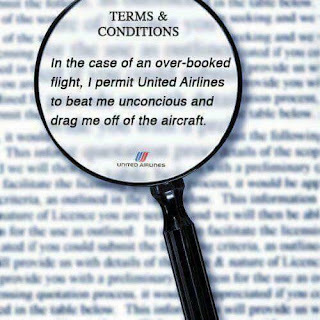 Second, United may have broken FAA regulations by not continuing to negotiate compensation with all passengers. Third, it does not appear this passenger was given the mandatory written document explaining why it was necessary for him to depart the plane. This has to be given at the time the decision is conveyed to the passenger. Fourth, it seems that FAA regulations require airlines to inform passengers selected for removal exactly what criteria were used to select them over other passengers. 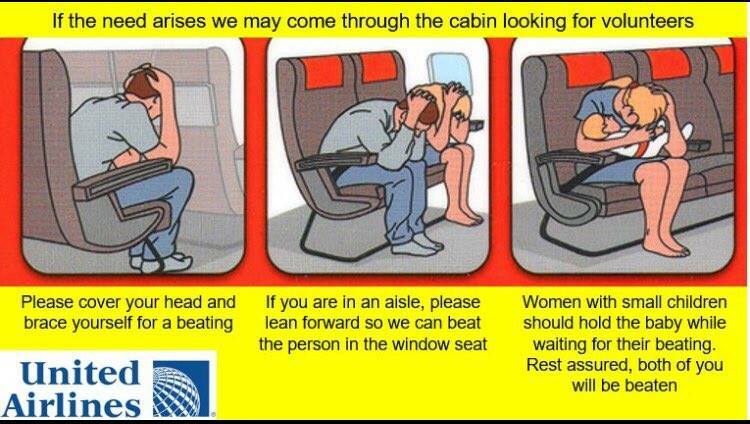 They need to do this at the time, not later, it must be immediately given to the passenger. If any of these possibilities are correct then United should be required to explain to the FAA, and, hopefully, a judge and jury, why it was necessary to apparently assault and injure a passenger who had legally boarded an aircraft and taken his allocated seat. The poor man's rights were severely violated, I can't even begin to think of how he is ever going to be compensated to make up for the treatment he received. The man is already 69years old! What if he had heart attack or stroke or other serious illness. Then this violence action might kill him. The horrific treatment he endured, showing this on TV worldwide, for him, had to be so humiliating. 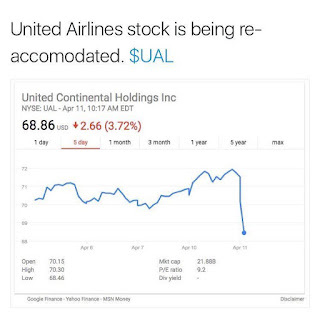 CEO of United needs to step down because this airline has been tanking for decades on customer service and this just put the icing on the cake. Before you said the passenger was disruptive and belligerent and HAD to be removed? Now you are investigating? Doesn't matter what is said, UNITED authorized the forced removal and subsequent injury of a PAYING passenger, United you are 100% at fault on this one. 1. First of all, it's airline spin to call this an overbooking. The statutory provision granting them the ability to deny boarding is about " OVERSALES", specifically defines as booking more reserved confirmed seats than there are available. This is not what happened. They did not overbook the flight; they had a fully booked flight, and not only did everyone already have a reserved confirmed seat, they were all sitting in them. The law allowing them to denying boarding in the event of an oversale does not apply. The costs of a lawsuit is less than brand value lost from all the social media outcry & their market cap sinking by $1B in 8 hrs. They think people are fools - the insincerity and arrogance of United's CEO is so obvious. To disrespect your customers & throw them off is detestable & shows you are completely out of touch with your customers. 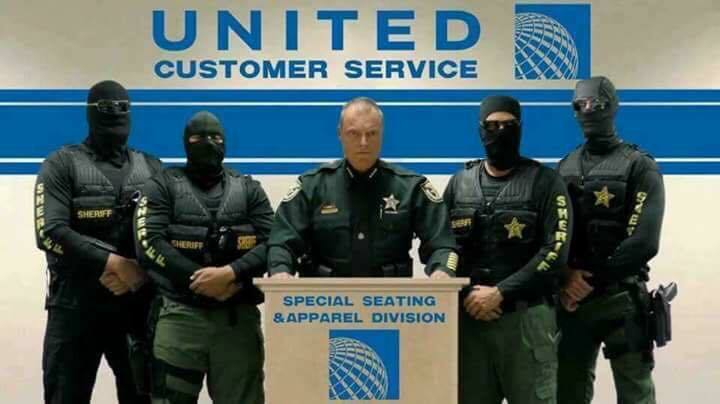 This is not "flying the friendly skies with United!" Shame on you. 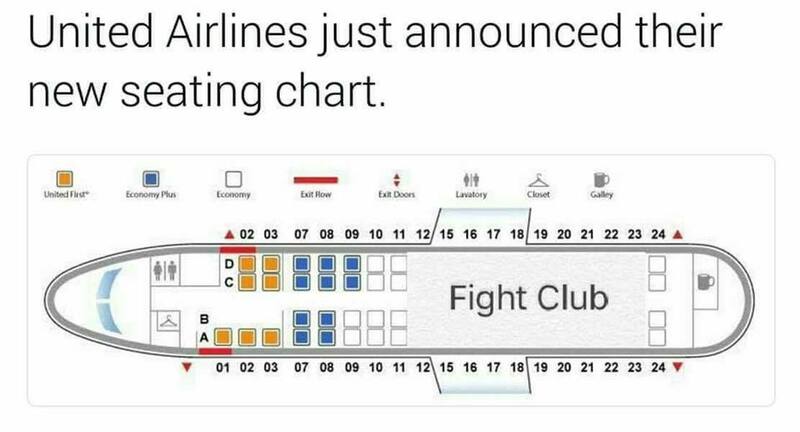 "When there's no more seating, prepare for a beating".